Take control of the music now! Get your customers to download now for free and play it their way! Orange Door® is the leading supplier of music video systems used in the hospitality and entertainment industry internationally (Bars, Pubs, Bowling centers etc.). 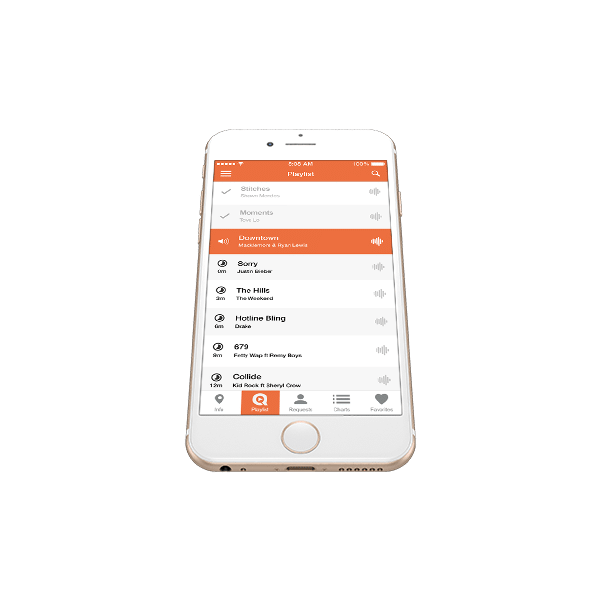 Find a list of participating venues in your vicinity through this App, and if your favorite venue is not participating, ask a staff member why not? 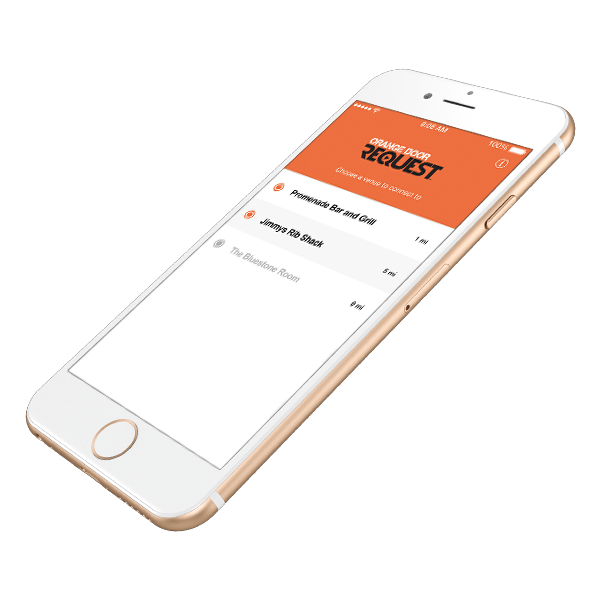 Download the app and start requesting songs for free! 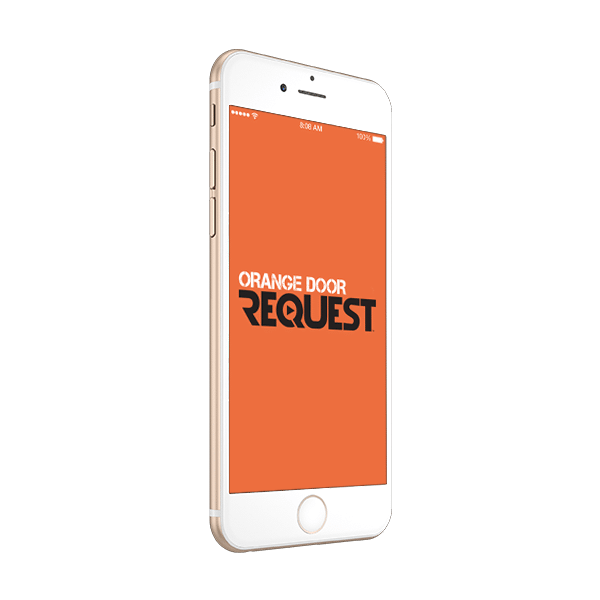 The Orange Door® Request app allows you, through your mobile phone to request a song. For this you must first install the app on your smartphone. Check that location services (GPS) are turned on. The venue may not have an Orange Door® system. Ask at the bar. They have an Orange Door® system that does not support the app. They do have an Orange Door® system but the app does not yet activated. Or they use the app in “private mode” which allows the manager and staff to use the app. Once you’ve chosen, you are presented with a venue info screen. With the “Playlist” tab you can view the list of music videos that are scheduled to play on the system. Under “Requests” the songs that have been requested are listed. You can also view the status of the requests. Depending on venue settings, a manager may first need to approve a request before it is added to the playlist. If the parameters are not met and your request is declined then you will be notified. 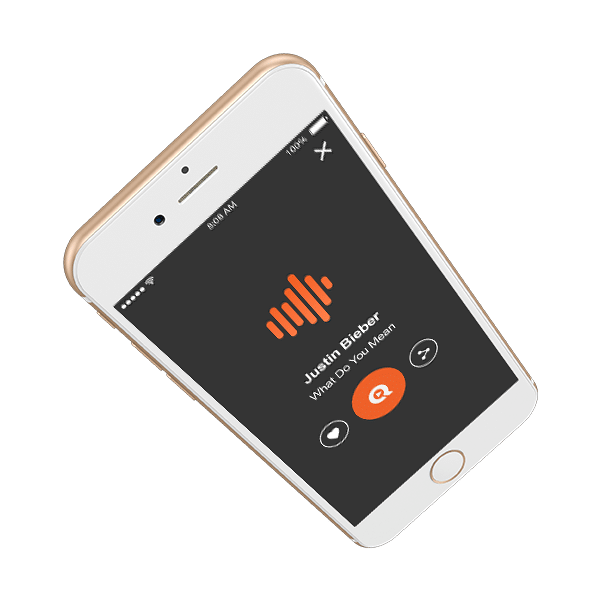 Under “Charts” you will find genre lists like “Pop”, “Rock” and “Country” plus a huge selection of playlists. These are great for inspiration when you don’t have a specific song in mind. You can also search by title or artist by pressing the magnifying glass at the top right. When you make a request you can add the music video to your Favorites– useful if you want to request that song often. You can even share your request with your friends via Social Media. Need more information about the app?